Retail applications are highly dynamic with multiple operations and modes of service. These are critical applications influencing customer service, business reputation, continuity and growth. The perfect synchronization between various component systems like Ecommerce, POS, Inventory management and Business Intelligence systems is of utmost importance. 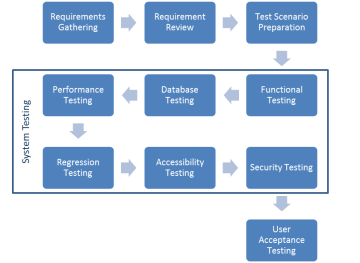 OdiTek has strong domain exposure and profound experience in retail application testing. We have the industry knowledge and technology competencies to deliver premium service in retail software testing. Retail applications typically have many components and third party applications for fraud prevention, pricing, shipping, pricing, payment gateways, vendor management, and inventory and warehouse management. These applications need to be seamlessly integrated for optimal functioning. Our expert team evaluates all the participating units of each process flow and validates their flawless integration and perfect interaction. We fully understand the business criticality of retail systems and have developed expert and reliable RFID testing, POS testing, and device testing services that assure quality of applications. Our knowledge of market trends, functioning of the retail value chain, and regulatory framework help clients figure our problem areas smartly and replace them swiftly. Experts at OdiTek are well aware of needs of diverse players in the retail industry. Our testing services cover the entire retail IT spectrum and offer the best fit test management approach for enterprise, warehouse, and in-store solutions.